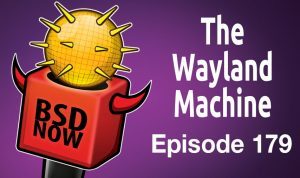 We lead off with the latest news about Wayland and Xorg support on FreeBSD, then a look at OpenBSD ARM64 support, inside the chacha20 cipher & much more! 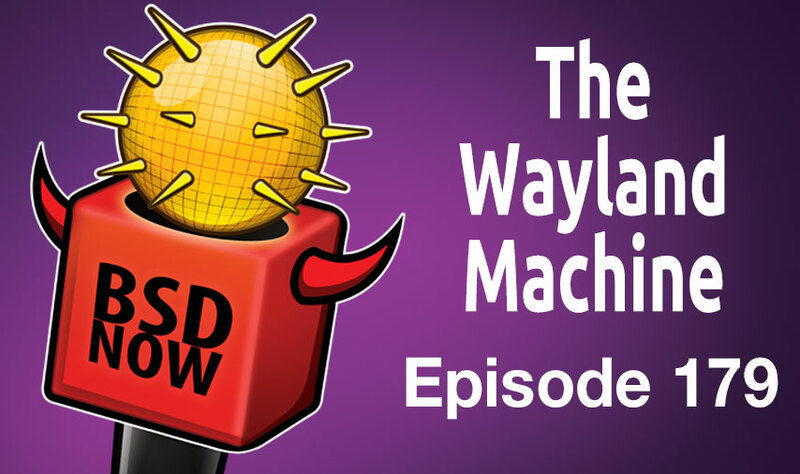 Wayland is designed for desktop and laptop use, rather than X, which was designed for use over the network, where clients were not powerful enough to run the applications locally. It is good to see this project progressing, as it seems in a few generations, high performance graphics drivers may only be actively developed for Wayland. The article goes on to describe different ways of dealing with the issue, and return values. At the time of recording, the link to download the snapshots did not work yet, but by time this airs a week from now, it should be working. Seems like every few episodes we end up discussing Ciphers (With their o-so amusing naming) and today is no exception. Quick summary: Chacha20 is ARX-based hash function, keyed, running in counter mode. It embodies the idea that one can use a hash function to encrypt data. If your eyes didn’t glaze over, then you are cleared to proceed. Now we just have to get that stream. The idea that the streams can mimic the concept of a one-time pad does make chacha20 very attractive, even to a non-crypto guy such as myself. Some ascii art is used here to help visualize how this done, in the quarter round-phase, then to the complete block as the 4 quarters are run in parallel over the entire 512 bit block. If crypto is something you find fascinating, you’ll want to make sure you give this one a full read-through. XOR Brute Force: enter some XOR’d text, and try every possible key to find plaintext. Optionally give it a regex of known plaintext to find the right key. Has anyone tried VSCode on the FreeBSD Code base?